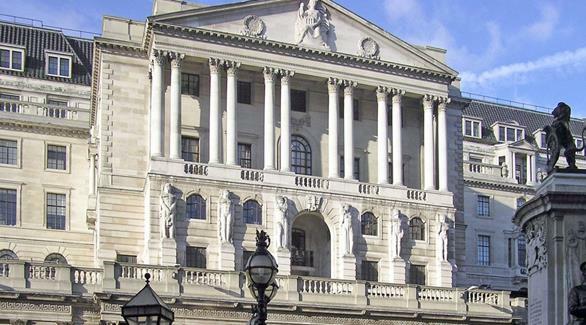 The RSCoin system was designed by researchers from University College London, after the UK’s central bank the Bank of England suggested the idea. The bank started doing research on digital currency starting February 2015, thinking it could lead to more efficient retail payments and a more resilient financial system overall. The bank believes that with the use of software able to handle digital cash, transactions both small and large can be quicker, more streamlined, and less costly. Aside from being a digital currency, RSCoin also makes use of cryptography similar to one used by Bitcoin in order to prevent counterfeiting. And like Bitcoin, RSCoin uses a digital ledger in order to verify each transaction and keep track of all movements. Bitcoin’s ledger however, is maintained by a network of computers from all over the globe. These computers are operated by individuals and companies that are not under any central authority. RSCoin’s ledger on the other hand, is maintained by the central bank, which owns a special encryption key that gives it control over the money supply. Using a digital currency system such as RSCoin can allow central banks to improve the financial system potentially giving many people better service. Because money can move more easily through a digital currency system, basic financial services can be more accessible to people from different parts of the world. And since RSCoin is integrated with the existing financial system, it could turn out to be more widely accepted by the public compared to Bitcoin. This is an interesting approach.. but it feels like a slap in the face to bitcoin, I can understand they wanted to have more control over their own virtual currency but by centralizing it they also put at risk not only security, but the credibility of these methods. I look forward to see it’s acceptance on the market as it is being issued by a central bank. Very interesting! I’m not an expert when it comes to this kind of things, but what I gather from this article is that RScoin is way more trustworthy than Bitcoin. The fact that RScoin is being maintained by the central bank makes it sounds like a very trustworthy currency, at least way more than Bitcoin, which is maintained by different individuals and companies. Who knows, maybe this currency will become super popular because of that. I personally never wanted to risk it with Bitcoins because of the lack of trustworthiness. This new currency might change that. So you would rather trust a bank, a company really, that’s first priority is its profit. Bitcoin is going to be around for a lot of time because people use it. The whole promise of Bitcoin is that we don’t need to centralize our currency. Honestly, it’s better off that way. The power is in the hand of the people, not in private institutions like some bank. Digital currency in general is a pretty intriguing concept. Some people might say that the risks are high in using money we don’t actually see, but isn’t that what most of us do anyway when we pay straight from our banks? I remember when MS and other big companies started accepting Bitcoin, that was a good and innovative day. I’m happy to see that other options are rising, as the you’re correct, considering bitcoin isn’t run by a central figure, it really is hard for companies around the globe to approve of it. Now we just need to wait and see as to whether this gets any traction. The bankers realized they were missing out on something that could make them some money and they decided to wade in. Though this new digital currency will probably be widely accepted since one can’t be completely anonymous whilst using it but those who used bitcoin because of the anonymity will obviously not use this new digital currency for any transactions. It could be good if like bitcoin there’ll be ways for someone to earn RSCoins if they don’t want to buy them. I don’t like this. The whole idea behind cryptocurrencies is that you completely leave out banks. It puts the power into the hands of the people. This way nothing changes. Banks still control the flow of currency, which is the exact opposite of which these currencies stand for. Also that it tracks transactions. Another key point is anonymity. People who use these currencies don’t want anyone to track their purchases. Yes some of it might be illegal, but most of these purchases are perfectly legal. Bitcoin is never going to be used by banks and other services simply because it would ruin the point of it, and that’s anonymosity. Bitcoin is popular because it’s harder to be tracked than other currencies. RSCoin seems like an interesting alternative to Bitcoin for real life, but it’s not going to come close to Bitcoin in terms of functionality (they do different things). I have heard of bitcoin, but have always been ignorant to it. What is the main advantage? From what this article says, it seems like the main benefit is not having to worry about exchanging currency types for online transactions. Is that the only benefit of bitcoin or am I missing something here? Opinions on what the benefits of Bitcoin actually are will vary wildly as many people have their own take on things. The one thing that everyone does tend to agree on is that the security is second-to-none. As someone who was hoping Bitcoin was going to become a real alternative to other currencies, I was pretty disappointed. It was strong for awhile but the fall was horrible and although it’s starting to gain again it was already proven how infantile and volatile it still is. People just don’t trust cryptocurrency’s and I don’t blame them. I do see them one day as taking over because they so convenient and safe compared to even a bank account, without risking exposure of your personal information. I admit digital currencies will make transactions faster and the economy will move equally well with easier access to different financial tools. But what about the safety and privacy of these transactions. The encryption has to be water tight, and that seems to be impossible in a world where the most secured of encryptions keys are broken into so easily. even the US intelligence is not certain about their encryption system. Digital cash is good as long as it has some manual control system that can save its back in crunch situations.